This chapter employs ideational institutionalism which gives supremacy to the role of ideas and draws attention to discursive practices and meaning creation in policymaking, to examine the passage of the 2012 Right to Free and Compulsory Education Act of Pakistan. In the context of Pakistan, the ideational traces for the Act go further back than her existence and are found in the colonial past and British constitutional heritage. The legislation, however, was mainly the result of international pressure and the expectations placed upon the government of Pakistan because of its international commitments. The visit of Gordon Brown, former Prime Minister of the United Kingdom, to Pakistan and the subsequent visits of Pakistani President Asif Ali Zardari to the United Kingdom together with the demand for visible action on the part of the government of Pakistan to promote the universalisation of education played a pivotal role. The analysis confirms that actors’ orientation to policy issues is not contextually given facts but constructed over many years and undeniably ideational. This analysis further confirms that actors in the policy process are strategic and that they rely on multiple criteria for favouring certain strategies over others. 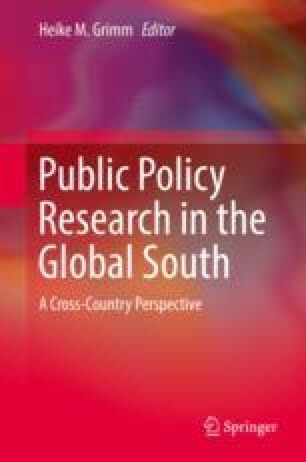 This analysis shows that ideas at the normative level are used in the foreground of policy formulation for justification of proposed policy prescriptions, while ideas at the cognitive level are used in the foreground of policy formulation. The material dimension, interestingly, appears more forcefully at the moment of “last significant controversy”, essentially meaning when a particular piece of legislation has to be passed and, as expected, is in the background of policy formulation in the form of self-interested ideas.